This article includes my personal opinion based on my personal experiences. The Epiphenie technical blog is a forum that I use to help friends, family, and strangers to solve problems that I have encountered. In this case, I want to warn my readers against buying or selling items on eBay because of their horrible customer service if anything goes wrong. I had a bad experience as an eBay seller 10+ years ago, and I usually avoid eBay, which is a haven for scam artists. But eBay protects its buyers, right? WRONG! I made a $180 purchase over Black Friday weekend 2016, I never received my item, and eBay refused to help me, sided with the seller, and closed my request. My eBay account; the early years – When I was in college, I bought and sold my textbooks online because used textbooks were CONSIDERABLY cheaper online than in college bookstores in 2002-2006. One semester, I decided to sell my used textbooks through eBay. One particular textbook included a disk (CD-ROM). I checked that the disk was in the book when I made the posting, and included that information in the details. I shipped my book to a buyer that claimed there was no disk, and with eBay’s help, he returned the book to me with, of course, no disk. I paid for shipping both ways for someone to steal a disk from me. I tried to file a case with eBay at the time, but they straight-up told me that if there is any doubt in a case, that they side with the buyer. I was a single mom going to school full time for my engineering degree and working 40 hours per week, and I didn’t have time to fight my case. So I kept the book and vowed to never sell anything on eBay ever again. I used Craigslist for general merchandise, and ABE Books for my textbook needs. Side note: ABE Books is now owned by Amazon. I recently pulled a report for my Amazon account. Over the last 10 years, I have spent over $50,000 on Amazon.com. You have to wonder what I might have spent on eBay if not for their horrible customer service. My eBay account; recent troubles – My recent bad customer service experience was as a buyer. During Black Friday weekend, I purchased a digital gift certificate at a discount. Unfortunately, it had been so long since I used my eBay account, that I had an old, old email address on my account. So, the gift cards got sent to an old email address that was still listed as my primary email on my eBay account. Within an hour, I realized that I hadn’t received an email and checked my account. That’s when I realized my error. I changed my account email right away and then contacted the seller. Over the course of two weeks, I requested help over and over again and was finally told that eBay closed my case and sided with the seller. The bottom line: I spent $180 on items that I did not receive and the only response that I got from the seller was to resend the cards to the original email address. I did eventually get help through PayPal, but I had to do that over the phone because PayPal refers you to eBay support in your online account. I’m telling you all of this so that you can understand WHY I’m so unhappy and will never use eBay again, and to save you the trouble of going through a similar poor customer support issue. You might ask – how can an upset customer affect a huge company like eBay? By affecting their NPS. “Would you recommend our company/product to a friend or colleague?” Answer this question on a scale from 1-10, where 1=”Not at all” and 10=”Definitely!” (or a similar scale). Responses in the 9-10 range are considered “promoters”, or people that are enthusiastic advocates of your company. Customers that respond with 7-8 are considered neutral. Responses from 1-7 are detractors. The unhappiest of these might publicly complain about the company, as I am doing here. To learn more about Net Promoter Scores (NPS), see What is NPS? by Customer Gauge. As of 2015, Ebay’s NPS was 38. Amazon’s NPS was 69! If memory serves, one of the highest consumer NPS scores is (was) Harley Davidson, with a score around 80. Harley Davidson has one of the highest rates of customer loyalty. The takeaway here is that eBay has a LOW measurement of customer loyalty. This measurement is often used in determining the value of stock. If you want to hit a company, hit their stock price. Wednesday, Nov 30 – Tried to file a complaint, but could not because the seller indicated that the item would be delivered on Dec 5. And the seller also indicated that the item was already delivered. 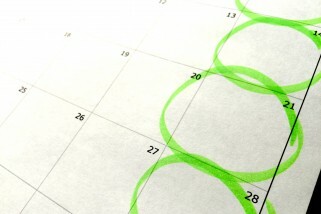 eBay won’t let a customer file a complaint until after the expected delivery date. So that was not yet an option. Wednesday, Nov 30 – Because I paid for the item with PayPal, I checked their site. In the information about the order, there’s no option to file a claim. Only a paragraph referring me to eBay customer support. So for the time being, I decided to work through eBay. Friday, Dec 2 – Called customer support because the seller had STILL not responded to me. I explained the problem to support. They reviewed my messages and opened a ticket. They said that the seller had 3 business days, or through Dec 7 to resolve my issue. Saturday, Dec 3 – The seller responded “I just resent the email to xxxxxxx@insightbb.com.” That’s all they said. Sunday, Dec 4 – I responded with the following message, clearly frustrated: “Do NOT send an email to insightbb. It does not help solve the problem. Please read at least one of my previous messages. I do not have access to insightbb and have not for years. However, email to that address does not bounce, so someone else must be using it. Ebay would not allow me to send you my email address in a message. (xxxxxx@gmail.com). Please cancel this transaction.” I had tried to send an email to my old address and it didn’t bounce. I was worried at this point that the email might have been reassigned to another user. I was able to log into a different, newer insightbb.com address from around 2013. Friday, Dec 9 – After still hearing nothing from the seller, I sent a message to customer support through the existing ticket: “The seller replied that they sent the digital item AGAIN to the old address that I will never have access to, disregarding my repeated requests to send a new code to my current email address. Several times I’ve tried to send the text of the email address, but ebay doesn’t allow it. I thought I sent an email on Saturday immediately after receiving the re-send email from the seller, but that response is not in the system. Please process my refund. I’m done.” And I was. I just wanted to get my money back and wash my hands of the issue. Sunday, Dec 11 – When I read the response from customer support, I was furious. Are you kidding me? I spent $180 on something that I didn’t receive and they’re “sorry it didn’t work out”? I did some other stuff to calm down before dealing with this issue further. Sunday, Dec 11 – I called eBay support. I was calm and asked nicely if the agent could tell me WHY my case was decided this way. The agent on the phone very nicely let me know that the reason that I would not be issued a refund was because all that eBay requires of sellers for digital gift cards is to resend the same code to the original email address on the account at the time the order is placed, not the current email. Because I paid using PayPal, the agent suggested that I open a case through them. Sunday, Dec 11 – Before interacting with PayPal, I decided to exhaust all of my options for accessing the email address. I looked through all of my password manager accounts, but this one was too old. I checked my old Yahoo account because it used to be connected to that insightbb account. I did find an email from Yahoo in Sept of this year stating that the insightbb email was being removed from my account. After several hours, I gave up trying to figure out the email password. Sunday, Dec 11 – I called the cable company. 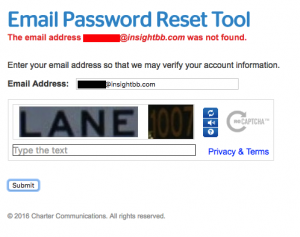 The old email address ended in @insightbb.com, from Insight Broadband internet. Insight was purchased by Timer Warner Cable in 2011. In May 2016, Time Warner Cable was purchased by Charter Cable (Spectrum). I spent 35 minutes with customer support looking through all of my old account information. (Thankfully, I had copies of all of my statements.) The agent recommended several sites to attempt to log in, even trying my old email root xxxxxx@insightbb.com with the time warner cable email xxxxxx@twc.com. Finally, she called the email department and they confirmed that the account no longer exists. So if it is still working, it is not supposed to, but the support agent stated that they guarantee that nobody else owns that email address. Sunday, Dec 11 – Finally, I called PayPal, which included a long wait time (30+ min), and a couple of transfers, but they were able to solve my problem. It’s a bit anticlimactic, sure, but the point is solid. eBay customer support is terrible, and they just lost any future revenue from me. My online spending every year is >$10,000. So for me, eBay provides exactly one service: I can search closed eBay sales to determine the value of my stuff before I sell it somewhere else.